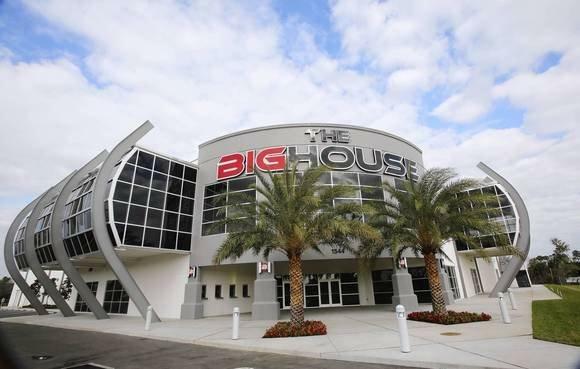 The Big House is a state of the art community center and sports training facility located in Tavares, Florida which is 20 miles north of Orlando, FL. ​The lack of facilities for our youth has long been a problem throughout the country. Childhood obesity has been a losing battle due to the lack of recreational facilities. Children may choose to limit their physical activity due to the lack of opportunities. Many schools in the community have refused to open their facilities after hours or on weekends due to liability, cost, maintenance, security and supervision. The Big House is a place where youth can participate in organized sports, obtain character education, and develop skills to help them lead a healthier lifestyle to become productive citizens. The goal of The Big House is to provide quality, competitive sports opportunities for athletes of all ages. We emphasize developing fine character and good sportsmanship in a diverse population of young athletes. Through participation in a community based program, we cultivate individual maturity, exemplary personal conduct, and increased self-confidence. Interactive sports competition reinforces self-esteem and acts as a positive example within the community. The Big House will provide outstanding athletic training and conditioning, while instilling a value system which requires academic dedication and respect. ​It is the goal of The Big House to consolidate venues in an effort to provide state of the art facilities as rentals for organizations to host events. The result is, centralized tournaments more dynamic events for young athletes to enjoy. The social atmosphere is enhanced by having more cohesive events rather than spending hours on the road traveling from venue to venue. Youngsters collect memories to last a lifetime through involvement in athletic opportunities. Please check our calendar and join us for one of our upcoming events.